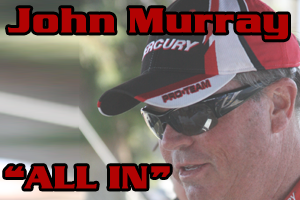 Phoenix, Ariz. based tour pro John Murray is a self avowed deep structure angler. His passion for finding offshore fish is so strong, that most of the time he will do everything he can to find schools of fish that are relatively unmolested, as deep as he can find them. 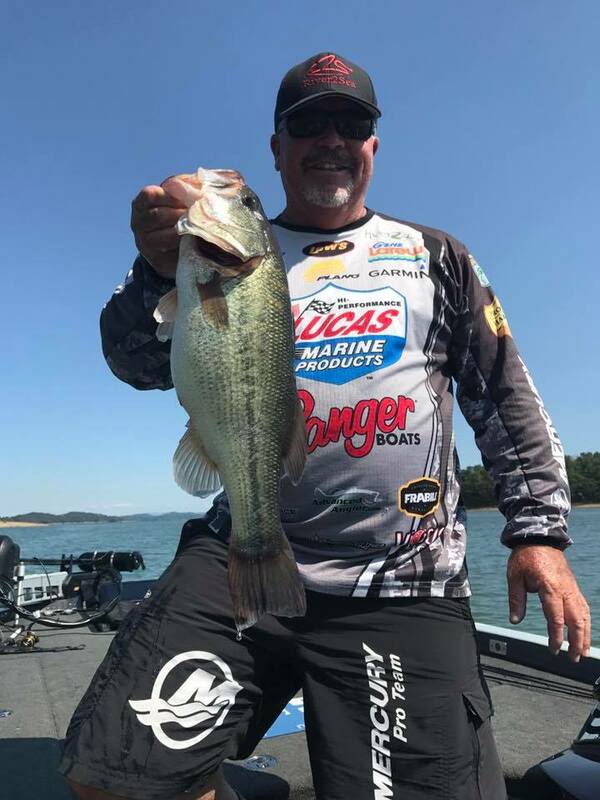 From his earliest days as an angler, Murray has been known for his strength in two areas; topwater fishing and finesse fishing in deep water. But, as any good angler does, Murray learned to adapt his pure light line skills from his Western days to his new found playing grounds of the East, once he made the leap. 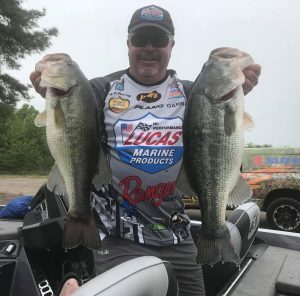 Of course, he will throw a crankbait in the right settings, but when the conditions are not prime for the aggressive reaction presentation, he continues to produce results by toning it down a bit. 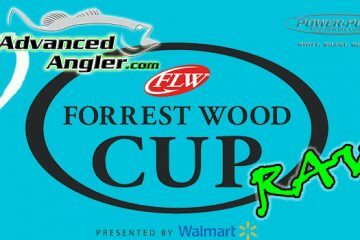 However, any good bass fishing success story begins with the search. 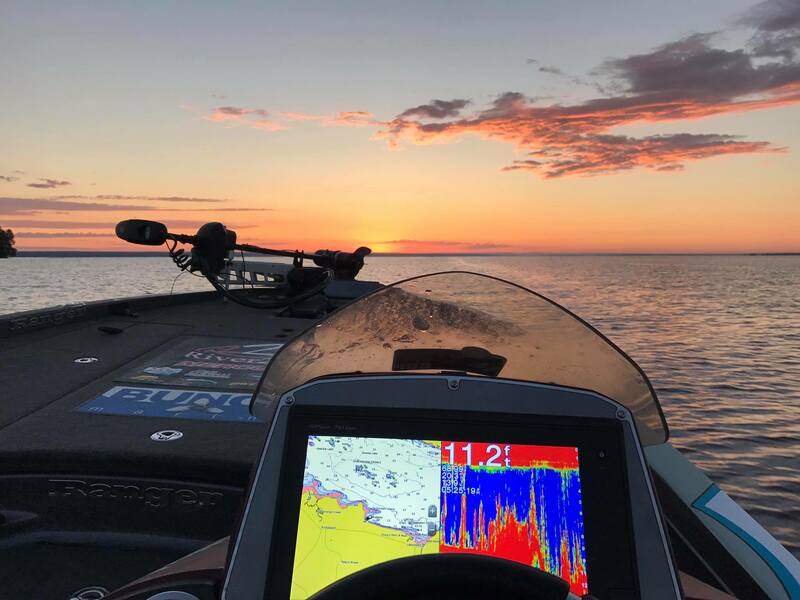 What Murray said is that once you locate that depth zone, the baitfish in most of the lake will find that level to be their comfort zone. Of course, there are resident fish shallow that feed on bluegill and other creatures, but because he is looking for schools, he likes to locate this zone. Once he does, he opens up his mapping and looks for structure that intersects slightly above and below that level. If the baitfish shows themselves to be at 20 feet, Murray will begin looking for structure that tops out at five to ten feet above or below that level. He said that you’ll have to do a little math to compensate for the water level, but he looks for structure in that zone. They will also suspend at the level just off of structure elements, and if that’s what he comes across, he can adjust himself to that with his presentations. 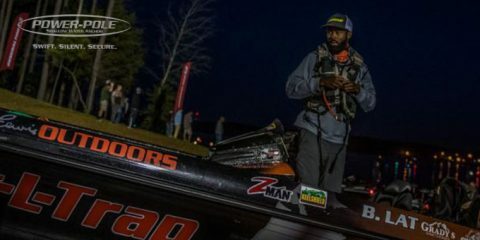 The adaptations Murray has made for his offshore fishing from the West to the East have revolved around the lures he has used to draw strikes. Where deep structure absolutely required light line on the left coast, he found he could beef things up in the rest of the country. 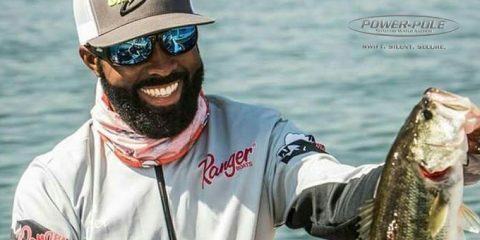 With that in mind, he could leave the split shot rigs and vertical jigging spoons alone, and turn to jigs and creatures – mainly. He does have one little Western twist as his backup for tough times. In ideal conditions, Murray said that he prefers to use a football head jig and a trailer, or if the fish are slightly more aggressive, he turns to a creature bait scooted across the bottom. 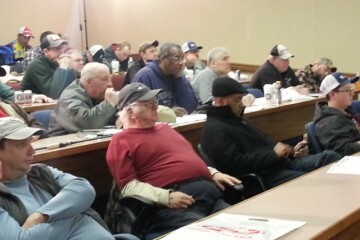 His first choice is a jig of his own design; the Papa Mur Jig by River2Sea, a football jig with a uniquely designed hook for proper rigging of trailers and holding hooked fish. For deeper water, he prefers to use the 7/8-ounce size, and he chooses colors by the water clarity. He likes green pumpkin, watermelon and brown based colors for clear water, and black for dirtier water. He matches the trailers for conditions as well. If bass are sluggish, he tips his jig with a Gene Larew Salt Craw. If they are aggressively moving through the schools of bait, he will opt for a Gene Larew Rattlin’ Crawl’R and if they are in between, a Gene Larew Hoo Daddy Jr.’s swimming tails are a hit. 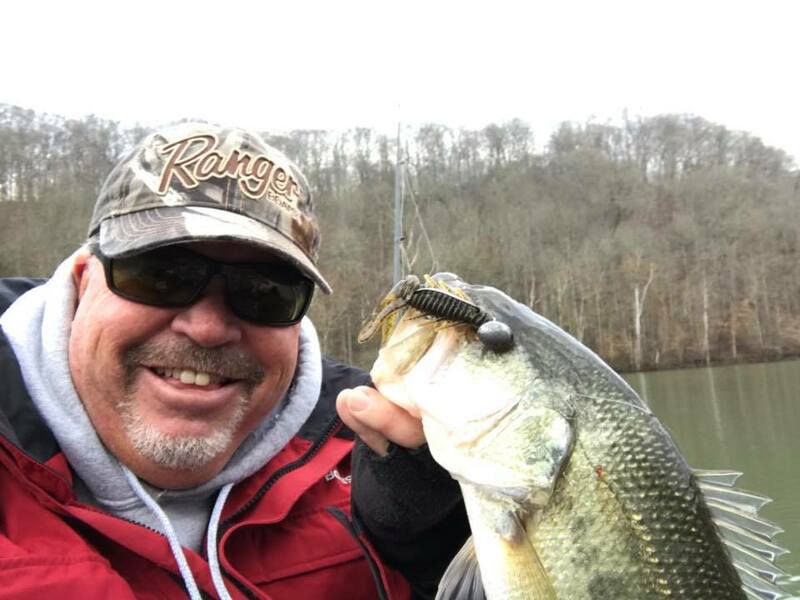 If the fish are holding to the bottom, he turns to an 11/16-ounce Gene Larew Hardhead rigged with a Gene Larew Biffle Bug, which he scoots along the bottom, allowing the head to beat the rocks, creating reaction strikes. He rigs both the Papa Mur jig and the Biffle Bug setup on a 7’4″ heavy action Team Lew’s Custom Pro Magnum Pitching rod with a Team Lew’s Hypermag reel with 7.5:1 retrieve speed. He spools 15 to 17-pound-test Fluorocarbon line for the Papa Mur Jig, and upgrades the same brand of line to 17 to 20-pound-test for the Biffle Bug depending on depth and severity of the rocks on the bottom.